As Dr Nigel Warburton, the chair of the evening, introduced it, Effective altruism is “bang for your buck altruism”. Effective altruism “is a philosophy and social movement that applies evidence and reason to determine the most effective ways to improve the world“ his first slide proclaimed. It’s about find ways to save and improve the most lives with the limited resources we have and increasing those resources by showing more people the real difference they can make to others. It’s about making the world the best place it can be and how we all have the power to help with that. Did you know about £2000 would save a life? Donate just £10 a month to the most effective charities for 17 years and you could save a life. And if you read this blog you might realise that I feel many of us could be giving a lot more than £10 month. Dr Warburton said of Peter Singer; you may not always agree with him but you can’t deny he makes you think. What I am wondering is…did he really make us think on this occasion? 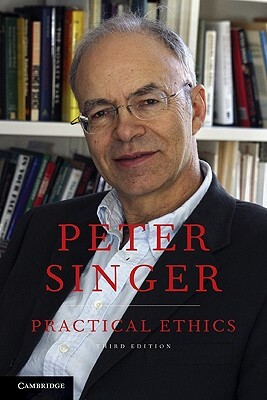 I have to admit, just in case it is not obvious, that I love Peter Singer. He’s probably been one of the single biggest influences on my own personal ethics. The organisation he founded, The Life You Can Save moved over $700,000 to effective charities in 2014 and he remains probably one of the most widely recognised public faces of Effective Altruism. But would I love him if I had never heard of Effective Altruism? If I had walked into that talk with no prior knowledge of him or his pioneering work in charity? It’s not that his speech wasn’t good, nor that his arguments were not clear. I’m just not sure they were inspiring. He explained, he did not persuade. In fairness I’ve read dozens of articles on Peter Singer, searched out countless podcast interviews and sent his TED talk to everyone I know. Therefore, admittedly, there was nothing that he said, or probably could say even, that I had not heard before. Perhaps my adulation set my expectations far too high but I can’t help feeling that were I entirely new to this concept on Monday evening that I would have walked away from the talk for the most part unchanged. Interested? Yes. Would I have changed any of my behaviour? I’m not sure. There was no clear call to action. No impassioned testimony to the lives we can save. No inspiring rally to live a life that means more than mindless consumerism. Rationality is a vital component of effective altruism. So much of today’s charitable donations are all emotion with no thought to what is achieved in the process. Sometimes we can get caught up in that warm glow feeling and miss out thinking about the impact we are, or are not, having in someone else’s life. But in emphasising the oft forgotten head are we now instead neglecting the heart? This rationality works brilliantly for many of the dedicated Effective Altruists out there. 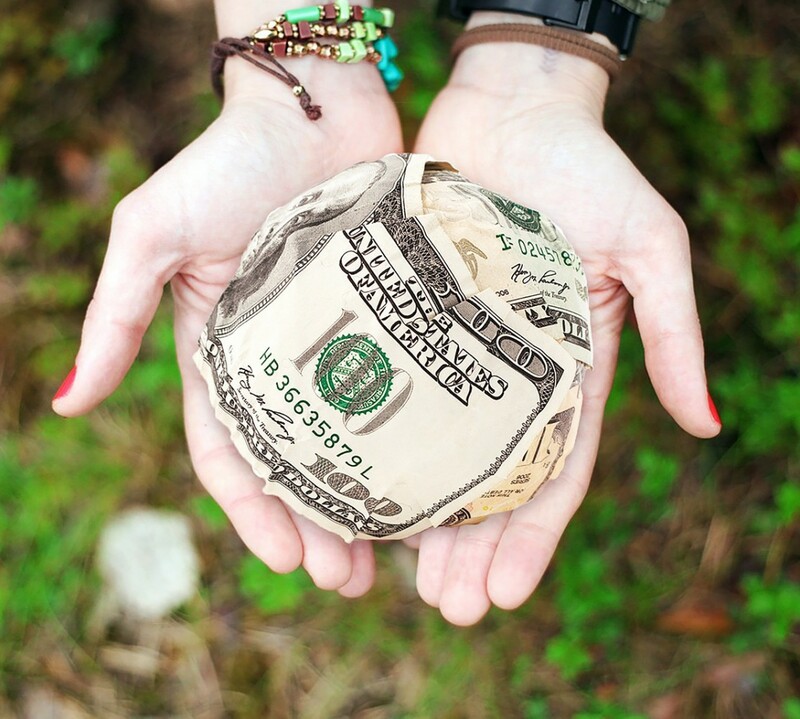 The understand the importance of transparent funding for charities, randomised controlled trials to accurately measure outcomes and critically thinking about innovative ways to problem solve. But should we be doing more to appeal to this wider audience? Studies that I often loathe to read often demonstrate how for many people anecdotes trump evidence. Facts and figures can be overwhelming to some and our brains are not hardwired to truly comprehend multitudes of suffering. We cannot feel one hundred times more sad if one million people die as opposed to one thousand. It is easier to empathise with a single individual. As Owen Jones argues when discussing the recent struggle of the left wing in the UK to galvinise support in the 2015 election; “Statistics and facts won’t win the support of millions; we’re human beings, we think in terms of empathy”. Would it be more effective to have a wider appeal thus putting more pressure on charities to improve their efficacy and creating a wider pool of people to give? The event was a huge success. People (myself included) queued to have Peter Singer sign copies of his book, people met to discuss Effective Altruism principles and Coralie and I joined many from Effective Altruism London to continue our plans in the pub. But were we the target audience? 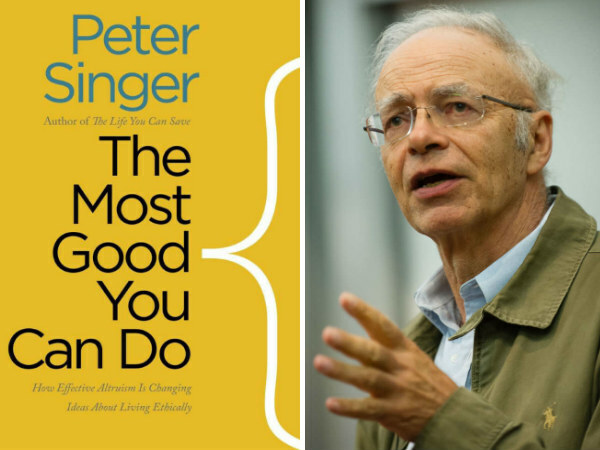 If we were Peter Singer’s presentation spoke to it’s audience, reinforcing the facts and background we all understand and value. Brief met. Objective delivered. Looking around the people leaving the hall we, the already Effective Altruists, probably were the majority of the audience. There is much to say for building a sense of community and reinforcing behaviour. But if we only talk to ourselves how can we grow the movement? If we don’t grow then we are missing a large portion of the population who might donate life changing, life saving, amounts to charity. This post too is guilty of speaking internally but while I am speaking to my fellow Effective Altruists I ask us to think about effective outreach as well as effective giving. As Effective Altruism develops it has a difficult tight rope to balance. We must continue to emphasise the importance of thinking rationally about doing the most good in the world. But to get more people to care about doing more good in the first place we need to speak to their hearts. So perhaps Singer has done the thinking, corralled the facts, made the case for effective altruism, and spoke further to the converted – but it’s down, as you say, to your fellow effective altruists to turn that into a more inspiring message. This is really good point Charlie. He does describe himself as a philosopher though and set up an organisation to advocate Effective Altruism. He’s expressed the importance of growing the movement and given some very moving talks in the past.